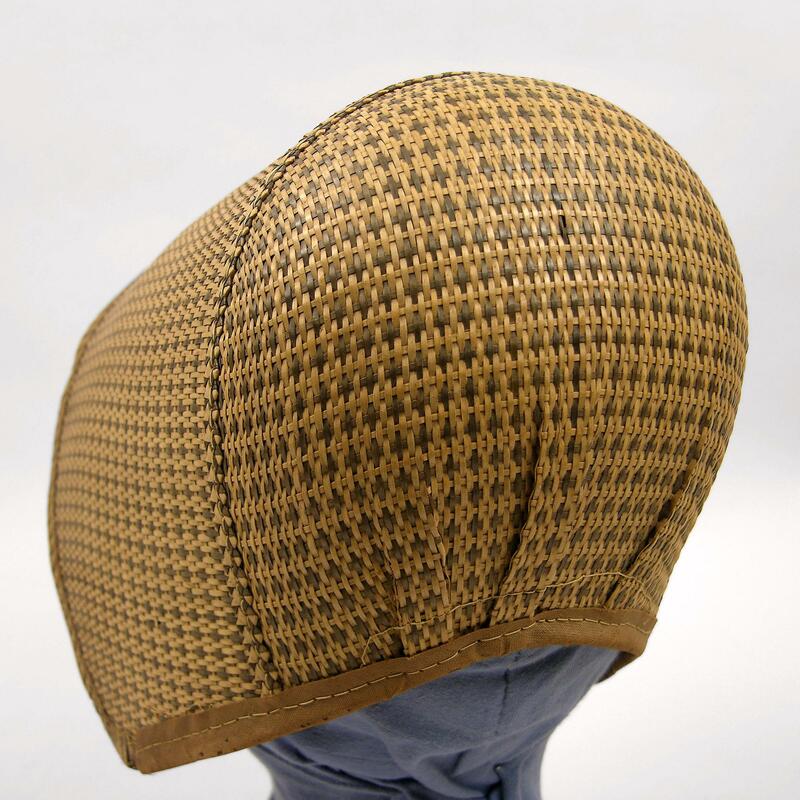 Bonnet, shaker form. Braided straw 11/7/95, IBM: Bi-colored straw; the bonnet is edged with a strip of straw braid, zig-zag shaped straw braid where crown and brim join. 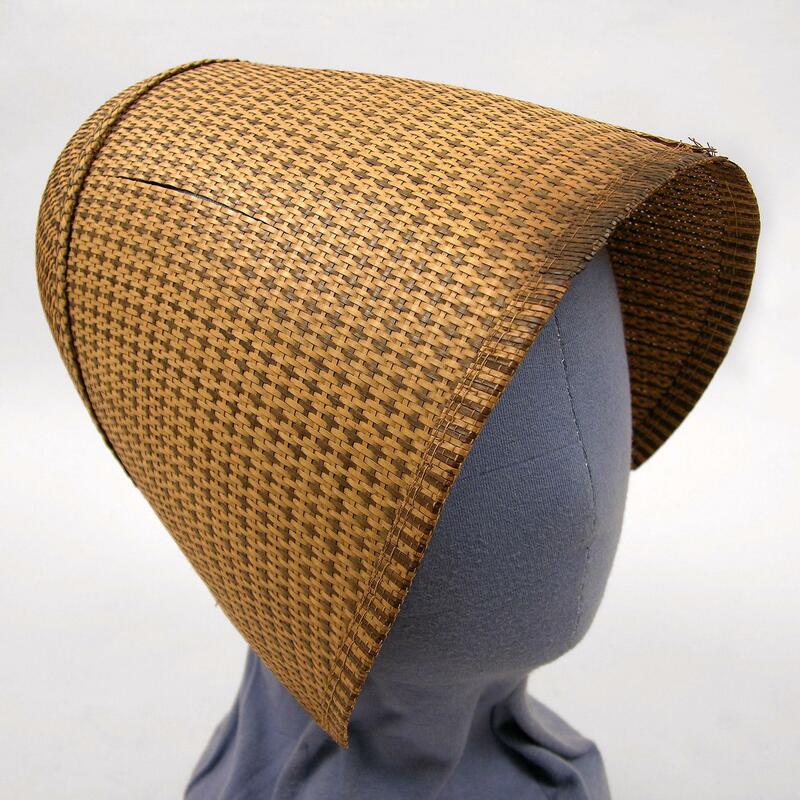 Inside bonnet shows machine stitched tan colored buckram tape at join of crown and brim.